Directions:FROM KINGS HWY, HEAD SOUTHEAST ON SANDHILL BLVD. TURN LEFT ONTO DEEP CREEK BLVD. TURN LEFT AT THE 1ST CROSS STREET ONTO AYSEN DR. LOT IS ON LEFT. SchoolsClick map icons below to view information for schools near 25760 Aysen Drive Punta Gorda, FL 33983. MFRMLS data last updated at April 19, 2019 8:27:55 AM PST. Home for sale at 25760 Aysen Drive Punta Gorda, FL 33983. 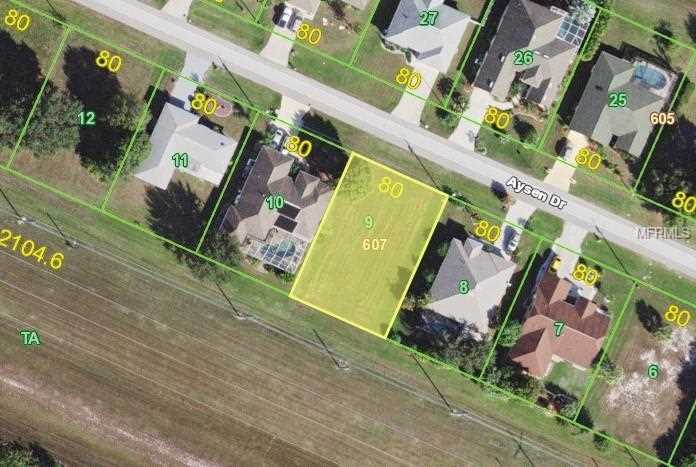 Description: The property at 25760 Aysen Drive Punta Gorda, FL 33983 in the Punta Gorda Isles subdivision with the MLS# A4427132 is currently listed for $14,700 and has been on the market for 67 days. You are viewing the MFRMLS listing details of the home for sale at 25760 Aysen Drive Punta Gorda, FL 33983, which features 0 bedrooms and 0 bathrooms, and 0 sq.ft. of living area.